From the beach to the playground, this pretty sea turtles baby notch dress is just the thing she needs to stay cool and cute! 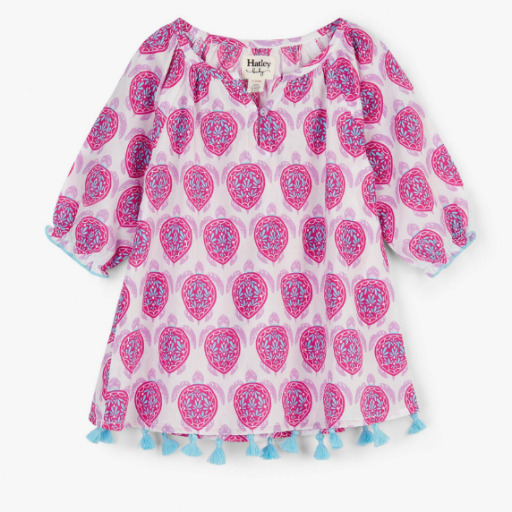 With adorable puff sleeves and fun tasselled hem, she'll be irresistible! Features: Notched neck featuring single button closure Tassle details at hemline machine washable 100% cotton.